When I am talking to groups about sustainability, people often ask me how highly it rates on today’s corporate agenda. Simply put, the UN’s Sustainable Development Goals (SDGs) provide investors, and therefore companies, with insights into how government decision-making and company behaviour will shape the development of the global economy over the next fifteen years. It also provides a powerful framework for companies to manage their impact on society, and relate to the most important issues of our time. The Global Goals outline the most significant sustainable development challenges of our time. For the first time, we are seeing a focused outreach to engage the private sector in solving some of these problems. So in addition to raising awareness among consumer and investor bases, Sustainability is rapidly increasing in importance due to a growing awareness that no one government, company or actor can solve these problems alone. The focus of sustainability is about balancing economic growth with social and environmental priorities, and recognizing the interdependencies among these areas. , economic development with the impact on the environment and the nexus between different areas such as energy, water and agriculture or access to electricity and socio-economic development. The 17 Global Goals are highly integrated, which means progress on all of them is needed to open up all the business benefits they offer, as well as the overall societal gains. For instance, the research shows that effective action on climate change can be linked to achieving the objectives of strong economic growth and ending poverty, while access to affordable energy will help reduce inequality and support sustainable industrialisation in the developing world. At the same time, major investments in infrastructure and innovation will be needed to meet the environmental targets set in the Global Goals. Sustainability is also rapidly becoming a differentiator for employers who want to be seen as an attractive option for millennials, who are more likely to choose to work for a company that has a vision and goal to support a sustainable and inclusive future. A 2017 poll of some 15,000 employees showed that 77% of employees have increased satisfaction because of Sustainability and Corporate responsibility and 88% see this as a competitive advantage for the company. Beyond these reasons, there is a clear business case to support the need for companies to lead in sustainability. In the report Better Business, Better World, by the Business and Sustainable Development Commission, the business case for sustainability is evaluated from a macro perspective. The conclusion of the Commission is that greater sustainability can help business overcome global barriers to growth and deliver trillions in new market value. The report also identifies actions that business leaders can take to capture their share of the prize and set the world on the path to a sustainable, inclusive economy. In short, the research shows that the Sustainable Development Goals (SDGs) or Global Goals — to end extreme poverty, inequality and climate change by 2030, offer a compelling growth strategy for individual businesses and for business in general. Achieving the Global Goals creates at least $12 trillion U.S. in opportunities in four economic systems examined by the Commission; food and agriculture, cities, energy and materials, and health and well- being can generate up to 380 million jobs, mostly in developing countries. There is increasing understanding of and interest in these sustainability-related business opportunities. A focus on sustainability also provides an engagement model internally as well as externally, i.e. both with employees, with customers, investors as well as different societal stakeholders. For example, at Ericsson, with the SDGs we have explained our ambition to become “a responsible and relevant driver of positive change” to our four stakeholder groups: investors, customers, employees and society at large. In the same poll referenced above, some 86% of employees feel that we are living up to this. We use the SDG framework in our annual Sustainability reporting as well as highlighting proofpoints on our company website of Ericsson technology, advocacy, innovation and expertise, to explain how they are helping to achieve each one of the Sustainable Development Goals, as well as through our social media channels. Through research together with the Earth Institute at Columbia University in 2015, we highlighted that ICT is a basic infrastructure to not only enable but in some cases accelerate achievement of the SDGs; and just as important for reaching the Goals as investments in electricity, water and transport. It is also a framework to demonstrate our innovation and scale throughout the world with solutions we have deployed in areas such as climate change, internet for all as well as the circular economy. Importantly, through our focus on sustainability we also learned the importance of top management commitment as well as widespread engagement possibilities for our employees. We created ambassador roles for our Executive Leadership Team at the launch of the SDGs in September 2015, and subsequently linked employee volunteer opportunities to one or several of the Global Goals. Both of these efforts have created momentum within the company and across the industry to support achievement of the SDGs. Ericsson also helped pioneer the SDGS into the mobile sector. We conducted early research with Columbia University, exploring how ICT could accelerate the achievement of the SDGs as part of the launch of the goals in September 2015. 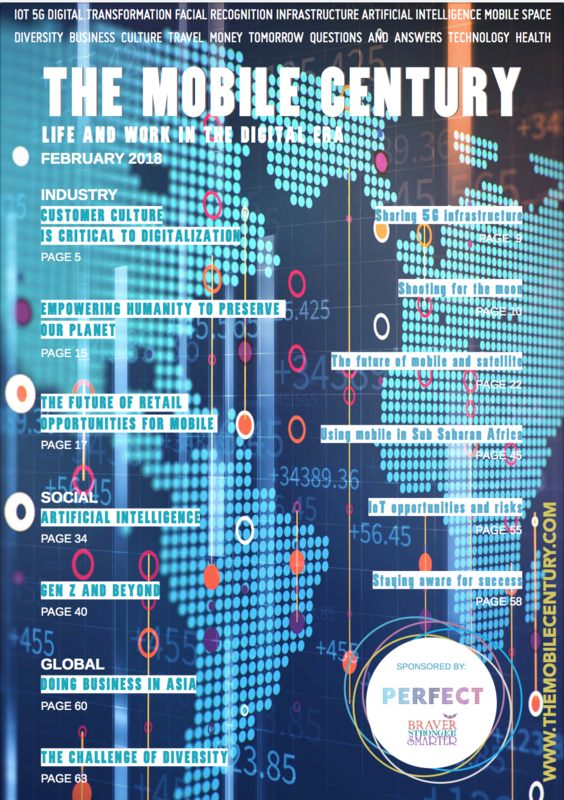 We were the first company to bring the SDGs to Barcelona at MWC 2016, and thanks to the great initiative by GSMA, the mobile industry is now the rst entire industry to embrace the goals. In short the SDGs provide a bold new framework that all companies can embrace, and can contribute to. Whether you support one goal, or all the goals, making the goals relevant to your core business is the most important factor in engaging any of your stakeholders, and the fastest way to make a connection to your bottom line. 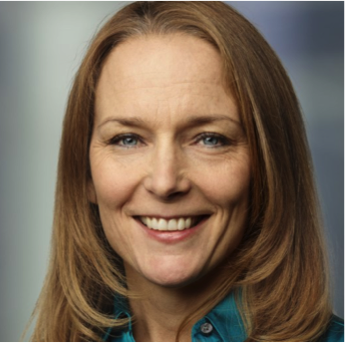 Elaine Weidman-Grunewald heads Ericsson’s Sustainability and Public Affairs and is also Head of Ericsson Response, the company’s humanitarian and disaster response program. She has worked for Ericsson in the US and Sweden for over 18 years and is a member of the Ericsson Executive Team. She is also a member of the Group Crisis Management Council. As the Ericsson spokesperson for Sustainability and CR, she is a frequent speaker at conferences including the World Economic Forum.